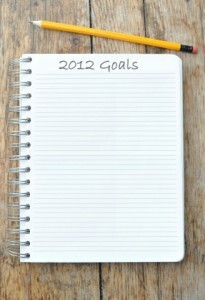 Like last year, here’s a list of Debian related goals that I’d like to achieve this year. I might not have the time to implement all the projects, but I like to write them down to keep me motivated. And maybe it can inspire other people to implement some of them (or to help me). The target is to have the book available in April. It would be nice to complete the liberation fund until then so that the book is immediately made available under a DFSG-free license. Translating the book in English is only the start of the journey. 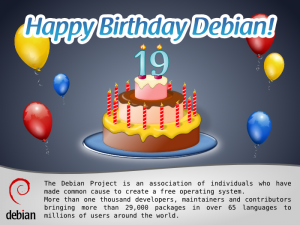 The real challenge is to keep the book up-to-date with each subsequent release of Debian. And Wheezy should hopefully be released in 2012 since the freeze is in June. It’s an ambitious project that aims to merge and replace the PTS, the DDPO and their respective mail variants. It should also standardize the flow of information directed towards package maintainers. I’m going to use the DEP process to drive this project. This could easily take most of the year, but hopefully I’ll motivate other people to chime in and help. While dpkg is fairly reliable, it’s not exempt of bugs and more annoyingly, harddrives/filesystems are not 100% reliable either, thus it happens that some internal database files get corrupted. Given that most files are text based, advanced users can manually fix them but many less skilled users are just left with a broken system that they tend to reinstall. To avoid this, we could provide a command that would try to automatically bring back the internal database to a sane state by looking for a working backup to restore (while at the same time marking some packages as requiring re-installation since we have some indications that they were present). This would be an extension of the former idea. Installing a package dpkg-db-history (any idea for a better name?) would setup dpkg hooks that would record every database change in a git repository. 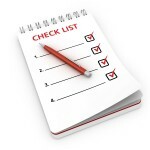 This repository could then be used to restore the last working version of the database. 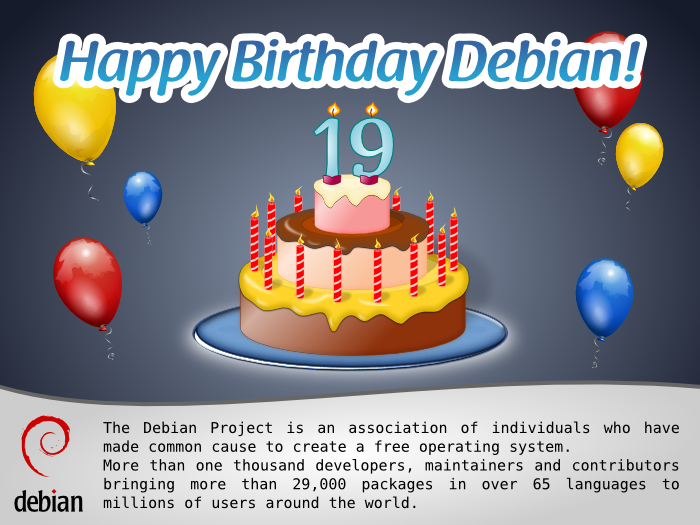 Write useful articles for Debian users and Debian contributors. They should complete the pages Mastering Debian, Contributing to Debian 101, Debian Packaging Tutorials, and help me increase the audience of this blog. Write at least one Debian-related ebook (different from the Debian Admin Handbook) and sell it. It could be an ebook targetting testing users since I believe that many more users could benefit from it if they had some better knowledge of the limitations and of the way to mitigate the problems that arise from time to time. 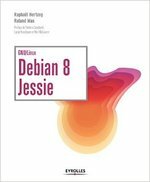 Or maybe it could be an ebook for people who want to start contributing to Debian, it could even be bundled with a few hours of mentoring. This means doing 3,5 times better than in 2011. It should be doable given that the sales of the Debian Administrator’s Handbook will contribute to this goal (once the translation is over). That makes up lots of challenges for this year. Feel free subscribe to my newsletter to stay up-to-date with my progress and to get my monthly summary of the Debian/Ubuntu news. It’s also a good way to help me reach those goals since you will be informed of all my new projects. Just a quick note to let you know that (like many free software hackers apparently) I have an account on Google+. I’m not using it much yet but I like it in general. It’s interesting to see how Google transformed Joindiaspora‘s aspects into “circles”. When Google will make an API available, I’ll probably setup it like my public Facebook page so that new blog posts are automatically announced. In the mean time, it’s going to be very quiet on my Google+ profile. That said, I used it twice this week: the first time because I’m looking for a French developer with sysadmin skills, and the second time because I have a server to give away (Pentium IV 3Ghz, 4 Gb RAM, 200 Gb of diskspace in RAID1 Hard). If you take the server for a free software project, it can be hosted for free where it currently is (courtesy of Julien Danjou). So if you’re also a Google+ user, feel free to add me to one of your circles.